Family owned and operated for over 35 years, Electrolight Enterprises offers a wide array of stunning lighting features from eye-catching chandeliers to trendy floor lamps. We are proud to have Toronto's largest variety of classical and contemporary lighting solutions that will brighten and enhance any space. Our professional team will help to make your home warm and uniquely beautiful with personalized attention to details. We are proud to offer only the highest quality, brand name lighting products and keep our customers coming back with service and value that is second to none! Specifiers are bombarded with new and innovative products on a weekly basis. Until now, Toronto has had very few venues where they could see and experience these new tools of light. With our 9000 square feet of great lighting ideas for your homes, business, retail and restaurants you can now find what you need. Open to anyone with a passion for good lighting. 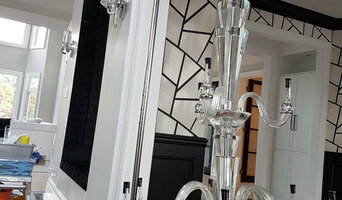 Toronto lighting and furniture store with large selection of European chandeliers, wall sconces, pendant lights, recessed lighting, LED lighting. Casa Di Luce offers famous European brands: Artemide, Flos, Foscarini, Swarovski, Calligaris, Orion, Luceplan to name a few. Casa Di Luce offers a post sale service - interior design consulting, installation of lighting fixtures, electrical work in the house, light fixtures cleaning. Our product can be purchased at our showroom and at our website: www.casadiluce.ca. Lighting experts based in Toronto, DDMLighting executes large and small projects in both the commercial and residential arenas. We focus on serving the design, planning and trades professionals in the residential and commercial areas, including but not limited to: architects, interior designers, decorators, general contractors, and electricians. 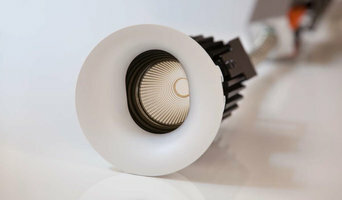 Founded in June 2012, DDMLighting combines 30 years of expertise and experience. Our mission is to provide great lighting and excellent customer experience in the Design, Deliver and Management phases of each project – no matter how small. While Design, Deliver and Manage is our motto and gives us our corporate name, we have a much more fundamental approach that guides us in all our interactions and decision-making: we define a client as “someone under our care”. This duty of care extends beyond the time of our involvement in the project, to the ultimate life of the lighting fixtures we have provided. Our team is small, agile and responsive. Able to move at the speed our clients require, we adjust our designs to meet the aesthetic, budgetary and scheduling needs at a reasonable cost. As individuals we both desire to create beauty and unique effects through lighting and together have the synergy that makes it possible for us to make this happen on a consistent basis. See our profiles below. Our mission is to design, implement and execute the correct lighting system plan for each client who engages us, based on their desired aesthetic, budgetary constraints and project timeline. We also consider planned usage, project lifecycle, age of end-users and harmonic sensitivities in our design plan, as each of these can dramatically affect enjoyment of the space. Located in Toronto’s décor and design quarter, AM STUDIO looks to showcase their contemporary and creative lighting collections across the Canadian retailer and onwards. This unique glass studio is also constantly making dynamic advancements in their renowned fused glass products. Giora Meyer, a co-founder of AM STUDIO, has managed his family’s international glass studio for over twenty years. Originating in Israel, Giora saw an opportunity to bring many of the same artisan and unique glass technology to the North American Market. In 2007, together with Orly Meyer, he opened AM STUDIO Toronto. As a team they look to serve the trade and public with their first Custom Lighting showroom and active glass studio. Customers are encouraged to send us images of the spaces, drawings of their projects as well as additional specifications (such as ceiling height, table or island size and staircase dimensions). This information will also assist in a better estimation of the size of the light fixture, amount of pendants and bulb type. We offer one of the most extensive and unique collections of antique lighting, reproduction lighting and vintage lighting in North America. All of our antiques are restored and CSA approved while our reproductions and custom designs are handmade in our workshop. Visit our website or our Toronto lighting showroom. Dcross International provides Lighting, Artworks, Interior and Fashion designs. We are honored to help designers, contractors and corporations to achieve their goals in accomplishing their projects with our fine arts, lighting and decorative pieces. we offer interior décor consultancy services and we also offer rental services with our products. Our open concept layout makes it simple and effortless to find just the right light fixture or accent piece for your home. Prima's 25,000 sq. ft. showroom allows you to move comfortably and view each type and style of item for its own merits. Lighting is an essential part of home decorating; it punctuates, it emphasizes, it caresses, it softens, and it illuminates every element of your home. Prima Lighting features beautiful and fashionable lighting products from all corners of the world, offering an extensive collection, ranging from bathroom lighting and accessories to outdoor garden and coach lighting. To ensure our leadership as a provider of lighting solutions, we continually monitor trends, innovations, and changing technologies in the lighting industry through domestic and European buying excursions and through constant contact with industry publications, manufacturers, distributors, and associations. CWI Lighting is a leader in lighting. 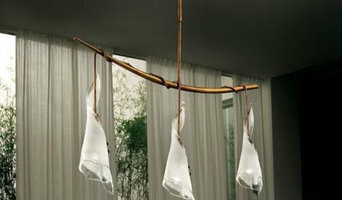 Operating as a manufacturer and distributor we offer a vast selection of lighting, ranging from traditional to modern. Whether you are looking for lights for your newly-built home or just looking for that one fixture that will make the perfect statement in your living room, Watts Current can help you. Come browse through our wide assortment of light fixtures and home furnishings in our 2000sq ft showroom located in south Mississauga, and if you don’t happen to see what you are looking for on the floor we will assist you and search through our wide selection of catalogues to find the perfect lighting solution or home furnishing item to suit your needs. A Lighting Showroom in the Niagara Region for over 45 years. Experience the difference of a showroom dedicated to lighting your home with the latest styles. Lighting is not just a category we sell. It is our focus and passion. Our showroom features top brand names as Hubbardton Forge, Quoizel & Kichler as well as "Made in Canada" companies like Snoc. Chandeliers, pendants, bathroom lighting, outdoor lights, lamps, floor lamps and ceiling fans for your home, on display with experienced lighting associates to guide you. Welcome to Don's Light House. Established in 1991, Spectral LV provides a full range of professional lighting services. We are a small, highly selective firm with a thorough understanding of design aspects of lighting. Our goal is to provide a complete selection of lighting products for every application and budget while maximizing quality and style. In addition to our e-commerce site, we maintain a 20,000 square foot facility located in the middle of the Greater Toronto Area that is stocked with over 20,000 items from the best manufacturers in the industry from all around the world. A family business started more than 65 years ago, we have a caring, experienced and dedicated team of consultants who will work with you from the start to finish of your project, no matter how long it takes, to make sure you choose the best products for your taste and needs. Just want to browse, no problem! Open 7 days a week, our doors are always open for you to take a peak or shop till you drop! We invite you to explore our web site and to come visit our magnificent lighting showroom in Toronto. Share our passion for brilliance! A well-lit home is essential for both functional and aesthetic reasons. Lighting designers will analyze your The Golden Mile, ON home's layout, structure and needs to create an effective lighting plan throughout your home. Though electrical engineers or interior designers can take on the task of outfitting your home with the appropriate lighting, a professional The Golden Mile lighting designer explores lighting as a technique. Think about how you plan to use each area of your The Golden Mile, ON home. It's important to communicate to your Ontario lighting designer which space will be used as an office and which will be a media room, for example, as these will require very different lighting methods. In addition, consider how you'd prefer to control the lights. Lighting technology today includes dimmers, sensors, photocells (that let lights react to the amount of daylight in a space), programmable scene controls (that let you program different settings for varied lighting) and whole-house lighting controls (that let you control all or a portion of your home's lights from one source), allowing you to tailor your lighting controls however you wish. Find a lighting designer on Houzz. Narrow your search in the Professionals section of the website to The Golden Mile, ON lighting designer. You can also look through The Golden Mile, ON photos by style to find a lighting design you like, then contact the designer.